There are many different types of malware and they work in different ways and present different types of threats to your computer. In order to better understand how to stay safe and keep your data secure, it’s a good idea to understand how each different type works. Here, we’ll look at one of the most common types of malware, the worm. A worm is a specific type of malware that is able to replicate itself and move from computer to computer without any intervention from users of the computer. It doesn’t need to hook into a separate piece of software to cause problems. Worms can infect your computer in a number of ways. Some exploit security flaws in software, allowing the worm to attack your computer when you, say visit an infected website or open a file. They can also be transmitted by spam email or message in an app like Messages or Facebook Messenger. In this case, the email or message contains a link. If you click that link it will take you to a website and start downloading the worm automatically. Once your computer is infected, the hacker can steal data, destroy or encrypt files, or even take control of your computer and lock you out. Are there any well-known examples of worms? Several. One of the most infamous is Stuxnet, a worm developed as a joint effort by the US and Israel to target Iran’s attempts to build a nuclear weapon. It was discovered in 2010 and was spread using a USB thumb drive. It’s believed that it targeted software that controlled the uranium facility in Iran. According to the New York Times, among the damage it caused was the self-destruction of 1,000 centrifuges. A programming error allowed it to escape to the wider internet, where it was discovered by security researchers. How do I know if my computer has a worm? The symptoms of infection are similar to those for other kinds of malware. If your computer starts running slowly or erratically, or the fans spin up when you’re not doing anything demanding, that could point to a worm carrying out tasks in the background. If you’re using a Mac and it starts running slowly, launch Activity monitor from Applications > Utilities and click on the CPU column to order processes by the CPU cycles they are consuming. If you see a process that’s using a huge percentage of your CPU cycles, take a note of the name an Google it. It could be a worm. As we said above, worms replicate themselves. And if they do that a lot, they will begin to occupy quite a bit of hard drive or SSD space. So, if you notice that you have much less free space than you thought you had, that could point to infection from a worm. Lastly, if you discover that files are missing, corrupt, or locked that could mean your computer has been infected by a worm virus. If your Mac or PC has any of the symptoms listed above, or you have any other reason to suspect it may have been infected, you should scan it for malware. You can do this using an antivirus program. There are several available for both Mac and PC that will allow you to download them and run a scan for free. Some will also remove the worm for free, while with others, you’ll need to pay to download the full version of the software. 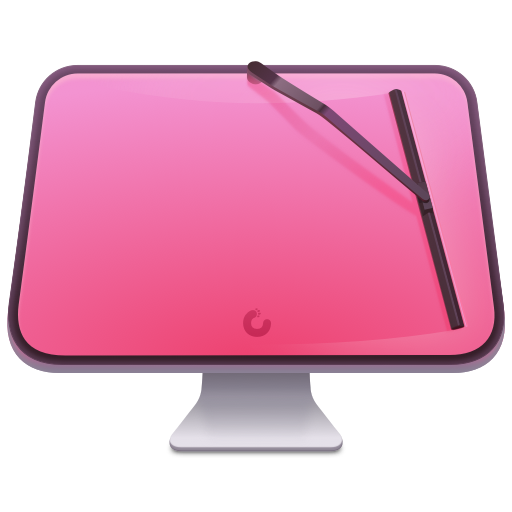 If you’re using a Mac, we advise using the malware module in CleanMyMac X to scan your Mac and remove a worm, if it finds one. CleanMyMac X has a regularly-updated database of malware. If it finds a worm, it will tell you and allow you to remove it at the press of a button. How can I avoid getting a worm? There’s no way to guarantee you will never be infected. Every computer connected to the internet, a local network, or which uses external media shared with other computers is potentially at risk. However, there are several steps you can take to protect yourself. Worms often exploit flaws in software to replicate themselves or spread. As soon as a worm is discovered doing this, the developer should start working on an update to fix the flaw. This will usually be available within a few days of discovery. So, by keeping your OS and applications up to date, you’re ensuring that you have the best protection against worms. Spam messages, whether sent by email or messaging platform are a common way to spread malware, including worms. They will include a link and text that encourages you to click it. If the malware is sent by instant message, it may tell you that it’s a video you must watch and may appear to have come from a friend. In all likelihood it’s come from a cloned account, or your friend’s account has been hacked. To protect yourself, don’t ever click on a link in an email or other message unless you’re absolutely certain where it will take you. Websites that offer content for free that would otherwise have to be paid for, such as streaming the latest movies, or license codes for software, are often used to spread malware. By visiting those sites, you put your computer at risk, so they are best avoided. Worms are a form of malware that replicate and spread quickly, often exploiting flaws in software. But you can protect yourself from them to an extent. And even if your computer is infected, there’s a great deal you can do to get rid of the worm and restore your computer to health.